I'm a big fan of historical fiction and one of my favourite eras to read about is World War II. I’ve always been fascinated by my family’s own stories and equally love hearing other people’s. The Wish Child is set in Germany and spans the rise and fall of the Nazi party. We follow two children, whose lives come to intertwine forever. Erich lives on a rural farm near Leipzig and his experience of the war is very different to middle class Berliner Sieglinde’s. Each child’s life gradually becomes harder. The prosperity and dedication we see at the beginning of the novel becomes desperation and pain. Food is scarce, opinions about the government change and family members are missing. Catherine Chidgey lived for two years in Berlin in the early 90s. Her personal experience enriches the novel. The writing and descriptions are immersive so you really get a feel for what living in Germany during the war was really like. The novel is well researched and beautifully written. The lives of ordinary families are peppered with quotes from songs and speeches of the time. This blurs the reader’s reality with that of the characters. The novel is relayed to us via an anonymous narrator who seems to watch over Erich and Sieglinde. It is only during the last section of the novel when the narrator’s identity is revealed and everything instantly makes sense. I found this last section to be the most enjoyable and appreciated the faster pace. After reading the ending I immediately wanted to re-read. To experience the rest of the novel with the knowledge I had gleaned from the end. I have to admit that whilst reading, I felt frustrated at the pace and was a little lost at points. The dramatic change of pace and unravelling of mysteries that make up the book’s conclusion was unsettling. It was for this reason that I immediately gave it a three-star rating. However, upon reflection, I really appreciate the quality of the writing and this is an important story that needs to be shared. I’ve recently amended my rating to four stars. I learnt so much about the everyday German’s experience of the war, alongside horrific facts detailing the grim reality of the Nazi party’s ambition. 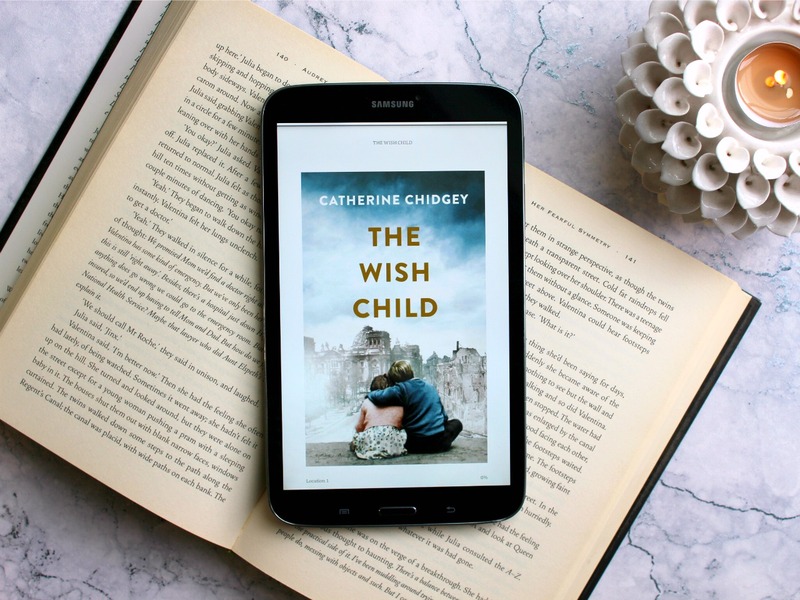 I would definitely recommend The Wish Child if you have an interest in the second world war, or if you enjoy well written family sagas.